I'm writing this blog to highlight some of the great achievements of Pakistan throughout 2015. So first of All i would like to write something about Pakistan. Some years back Pakistan faced some difficulties in various things but Pakistanis told everyone that we know how to face difficulties and we are not less from anyone, and Pakistanis did a lot of hard work. 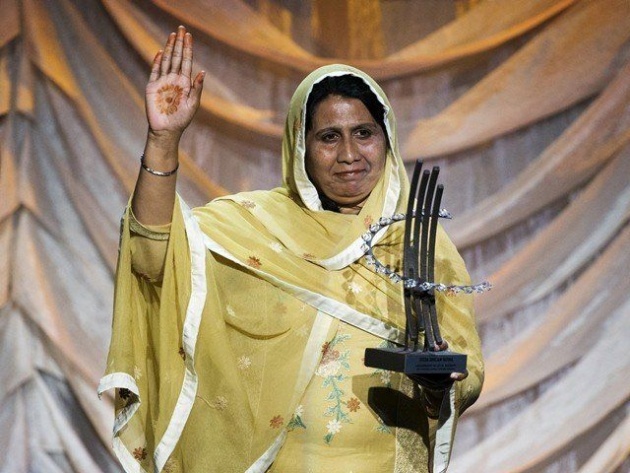 In September 2015 Syeda Ghulam Fatima was honored with Global Citizen Award. Syeda Ghulam Fatima was awarded with Global Citizen award due to her work, to free bonded workers. What is Global Citizen Award? Clinton Global Citizen Awards were established in 2007 to embody former US President Bill Clinton's call to individuals who represent global citizenship and have proven that diverse sectors of society can work together to effect positive and lasting social change. Who is Syeda Ghulam Fatima? Syeda Ghulam Fatima a human and labor rights activist holds a Masters Degree in Political Science. She is General Secretary of Lahore-Based Bonded labor Liberations Front Pakistan. She has been attacked, threatened and even wounded because of standing for the rights of bonded labors. 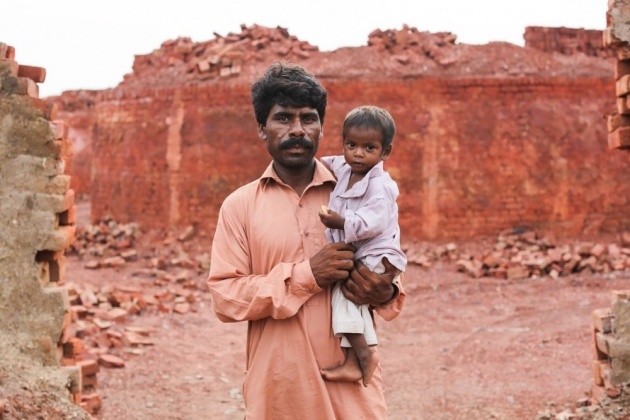 She is well known for her work in ending bonded labor in brick kilns. She has helped over 80,000 bonded labors and released them free. She has also trained over 600 women to fight against poverty. She was featured by Humans of New York in a 7-part series. 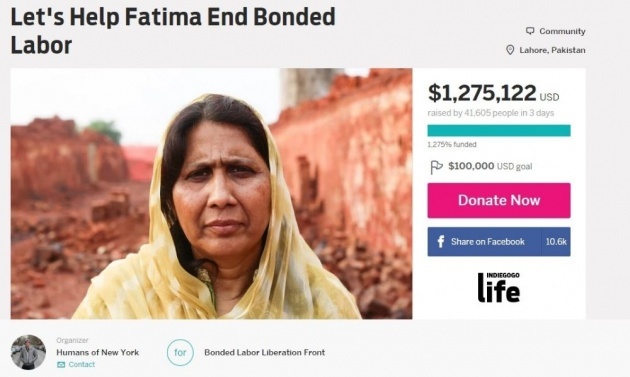 HONY also appealed people for donations to help release bonded brick workers, the goal was to collect $100,000 but instead of it they received $1,275,122 in just 3 days and overall amount was $2 million, it was a huge success and it helped a lot to free bonded brick workers. 2: Pak-China Friendship tunnel constructed on Attabad Lake. In 2010 a massive landslide blocked the flow of river Hunza. The landslide took several lives with it and displaced about 20000 people of the area. 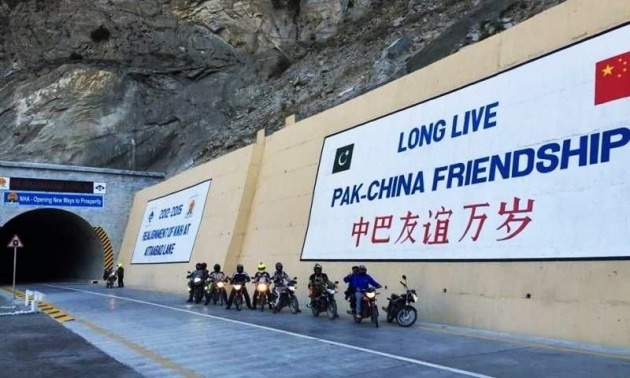 After two years of disaster a project was started named "Re-Alignment of Karakorum Highway at Attabad Barrier Lake", the project was executed by Bridge Corporation of China, China Road and National Highway Authority. 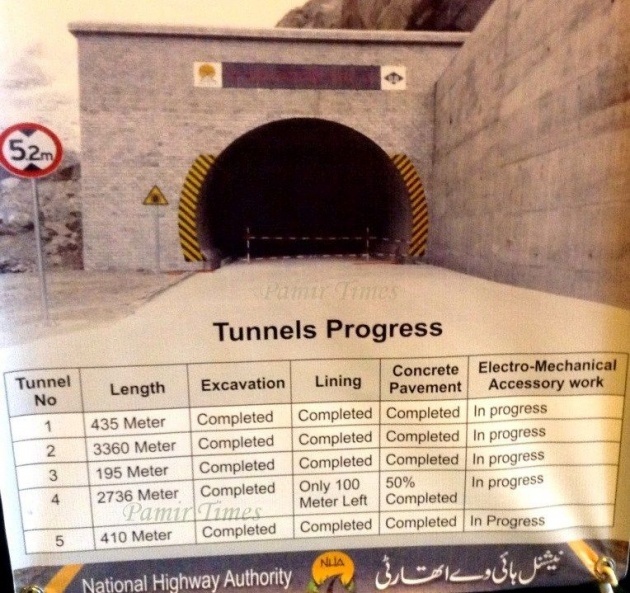 The project consisted five tunnels with total length of seven kilometers, 78 culverts and 2 Bridges. The project was completed at cost around USD 275 million in 3 years. Pakistani Surgeon Dr Nadeem Taj broke record of a US surgeon after removing gall stones and gall bladder of Muhammad Saffiullah (Four year old). In previous record that was set by US doctor, The doctor removed gall stones and gall bladder of Danylle Otteni (5 year old). Dr Nadeem Taj works at Capital Development Authority Hospital (CDAH). 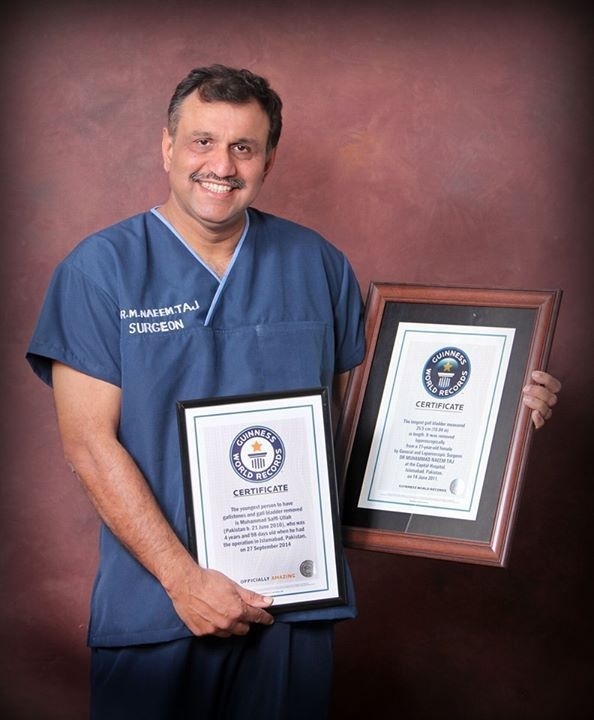 Dr Nadeem Taj is a talented laparoscopic surgeon who holds two records. His first record was set in 2012 when he successfully removed world's longest gall bladder through a 1cm umbilical incision. Dr Nadeem Taj has also operated oldest woman with gall stones. 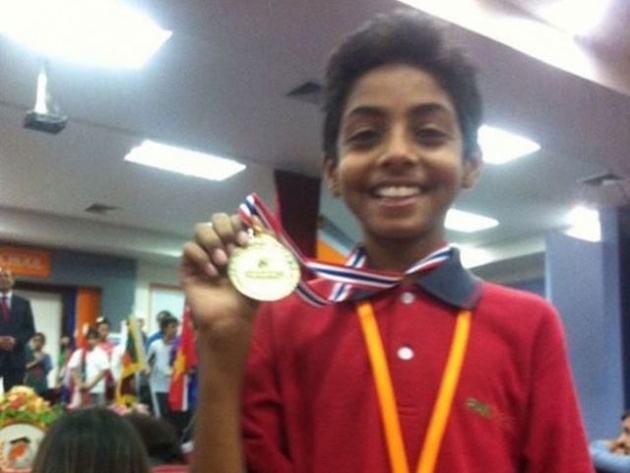 Rajnish Anil Bhattia of grade 7 of PakTurk international school Jamshoro secured gold medal in math competition arranged by Pan-Asia international school in Bangkok. Schools from all over the Asia participated in math competition. Three other students from the same school secured silver and bronze medals, Harun hilmaz of grade 8 won silver medal, Abdul wasi memon and Abdul wasi kandhir won bronze medal. 5: Muniba Mazari first female Goodwill ambassador. 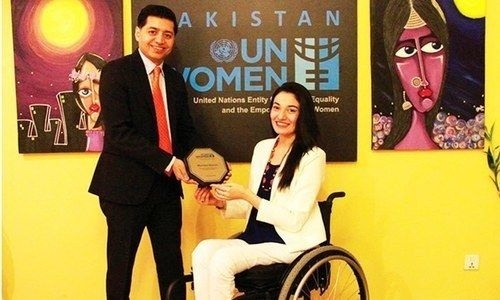 The UN Entity for Gender Equality and the Empowerment of Women named Muniba Mazari as the first female Goodwill ambassador. As the Goodwill ambassador for UN women, she will dedicate her work for the empowerment of women and girls. Muniba said “I am a strong supporter of UN Women and the role in ending gender-based discrimination, and to work towards gender equality.” She also said “We need to educate both men and women that if we empower one woman, we empower whole generation!”. SSG troops are listed as the best special force. Training reportedly includes a 36 mile march in 12 hours and a five mile run in 20 minutes with full gear on. 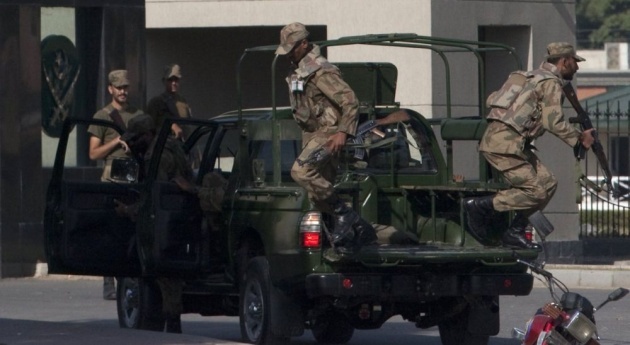 SSG is the main special operations force of Pakistan. The SSG is headquartered at Tarbela. SSG is divided in 10 battalions.This group was created in 1956.Their first deployment came in 1965 war between Pakistan and India. On 6 December 2014, a special team of SSG and Light commandos tracked down and killed Chief of Al-Qaeda Adnam Gulshair el Shukrijumah in south wazirstan during operation Zarb-e-Azb. All trainees have to participate in a nine month SSG course at Cherat. The course highlights physical conditioning, including a five mile run in 40 minutes with full gear and a 36 mile march in 9 hours. 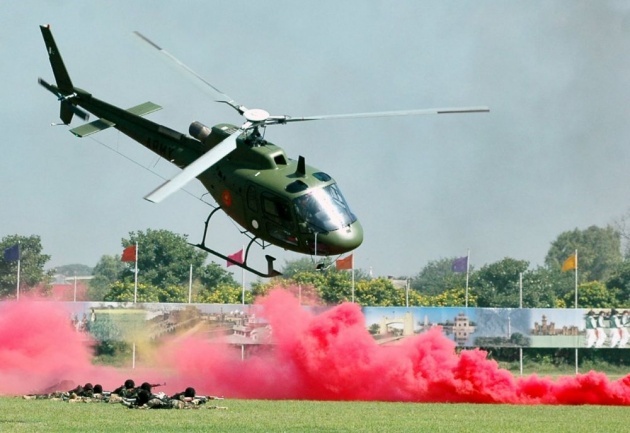 According to SSG course a trainee must go through an Airborne training as well, the course is of about 4 weeks, this course award's commando wings from SSG Airborne School. The wings are awarded after 3 night jumps and 5 day jumps. After this course commandos are put in advanced commando course that runs 25 weeks. 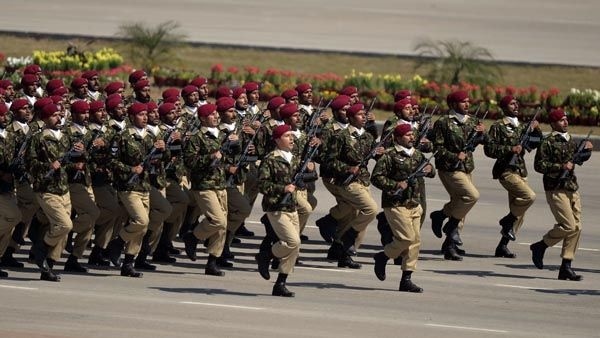 The trainees are trained in hand to hand combat and in physical fitness training & only a few percents of trainees make it through to SSG due to very tough training course. After this many of the troops are sent for specialist training. This course is given at Peshawar. The troops to complete this training are awarded Badges, a "Mountain Warfare" badge is awarded after a course at Mountain Warfare School in Abbottabad, a "Skydiver" badge is awarded after completing 25 freefall jumps and a "Combat Diver" badge is awarded after completing a course that is held by SSGN at Karachi. 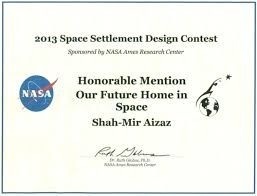 7: Shahmir Aizaz secured 2nd prize at NASA Ames Space Settlement Design Contest. 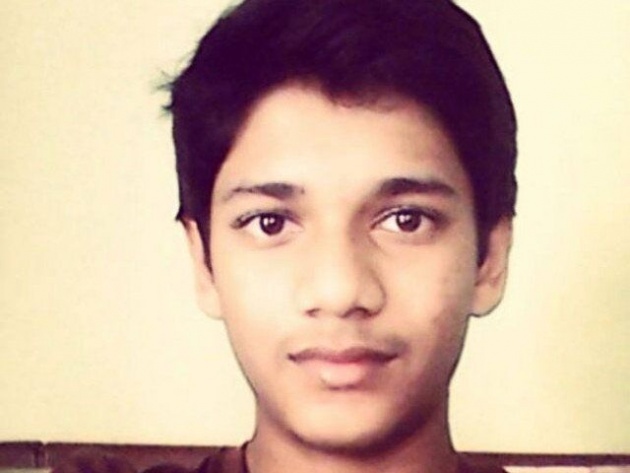 Pakistani boy named Shahmir Aizaz secured second prize at NASA Ames Space Settlement Design Contest 2015.Shahmir Aizaz is O' levels student who participated in NASA Ames space settlement Design Contest & secured Second prize for design by him titled "Beyond Infinity - Eros Outer Atmosphere Settlement". In 2015 there were 994 submissions from 3007 students. 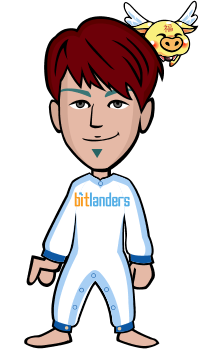 Entries came from 14 states of USA and 21 nations worldwide. 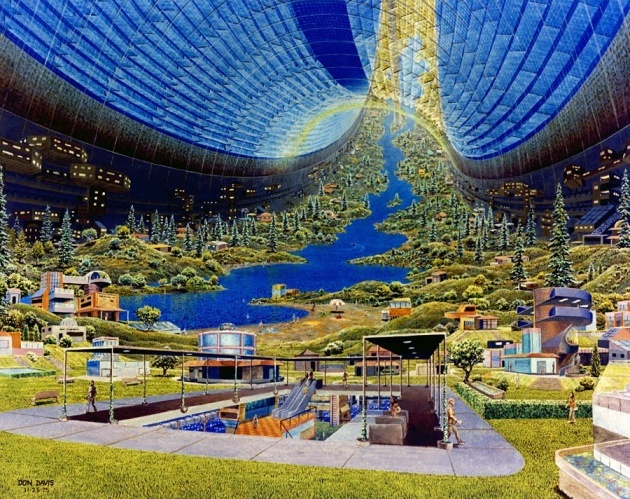 What is NASA Ames Space Settlement design contest? This competition is held every year since 1994.This competition puts high school students in designing a city in space. The contest is for students from class VII to XII.Student engineers demonstrate management skills, team work, space environment knowledge, technical competence, Creativity and presentation techniques. After Shahmir securing 2nd prize many of Pakistani students were inspired by him and his work & decided to participate next year. This Clarifies that Pakistan is no less than anyone. 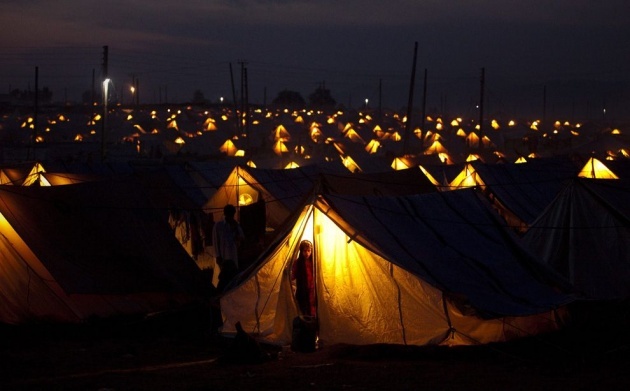 Pakistan was declared as worlds 2nd nation sheltering most refugees & Afghan is the biggest example. Pakistan has always opened doors for the homeless and hopeless people. 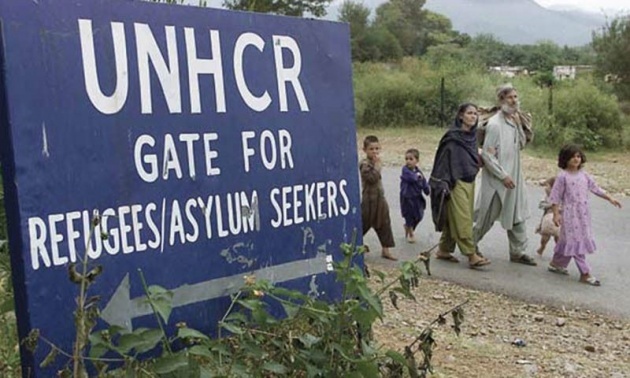 In 2015 according to UNHCR Pakistan hosted 1.5 million registered refugees from Afghanistan. In 2015, the needs for Pakistan operation were estimated at USD 137.1 million from which USD 58.8 million was for the refugee program, USD 28.4 million for the protection and assistance of conflict IDPs and USD 49.6 million was for the development projects. 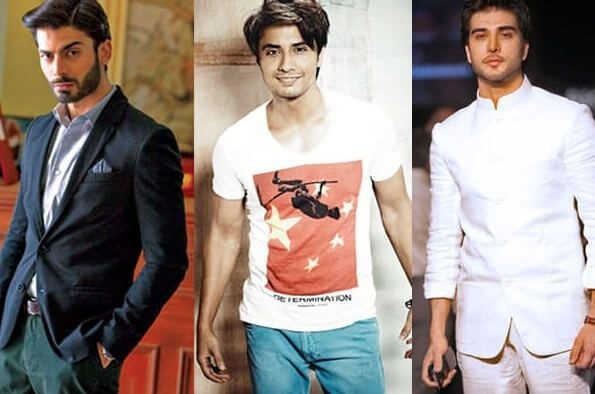 9: Pakistani men rated as 3rd sexiest men in the world. In 2015 a dating website MissTravel.com asked over 110000 Americans to vote for the sexiest nationalities in the world. Pakistani men were voted as 3rd sexiest men, where Australians were at 2nd and Irish at 1st. 10: Sumail won Dota 2 championship. 16 years old Sumail won Dota 2 championship in Seattle. Sumail moved from Karachi to Illinois chasing his dreams as a professional gamer. 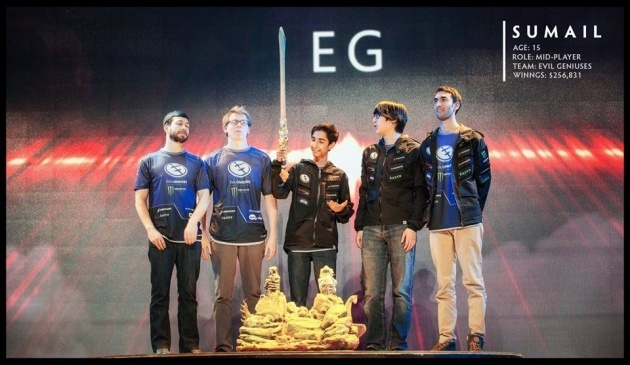 He helped his team "Evil Geniuses" win the Dota 2 International 2015 tournament. After the tournament he said "It meant everything to me". 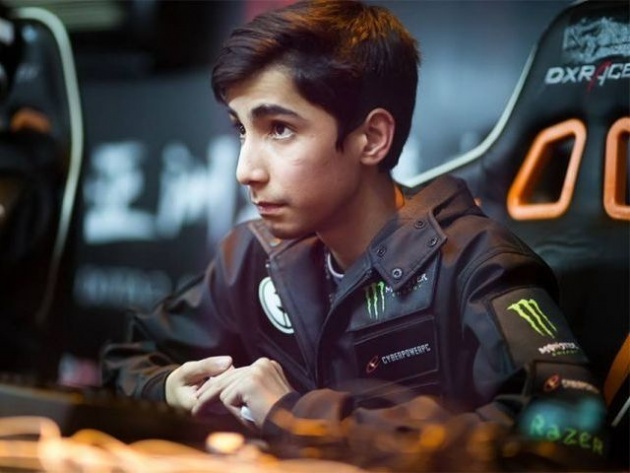 After winning this tournament Sumail became youngest gamer to earn $ 1 million in e-sports winnings. The overall earning of the team "Evil Geniuses" was $6,634,661 (£4,253,042) from which Sumail's earning was $1,639,867 (£1,052,141). This wining of Sumail made history and inspired other young gamers. 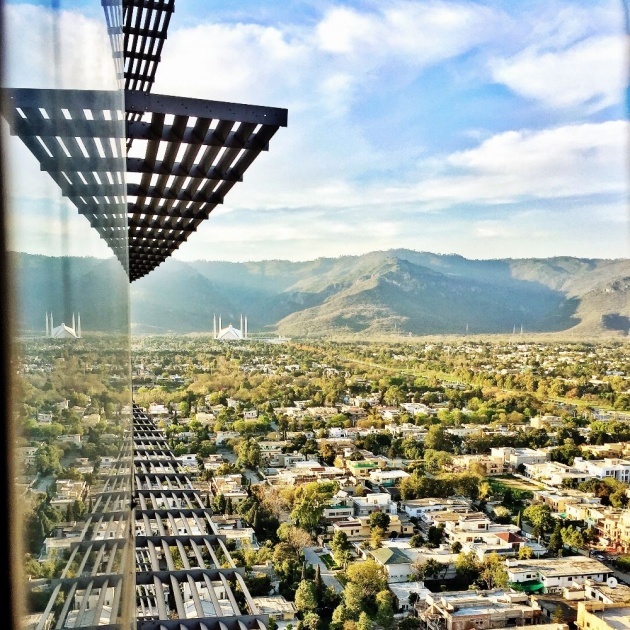 11: Islamabad rated as 2nd most beautiful Capital. There is no offense if Islamabad is one of the most beautiful capitals. Islamabad is famous for its decor, Fascination, Beauty and Attractiveness. Islamabad is highly developed city & Islamabad is also included in the list of world's largest cites. 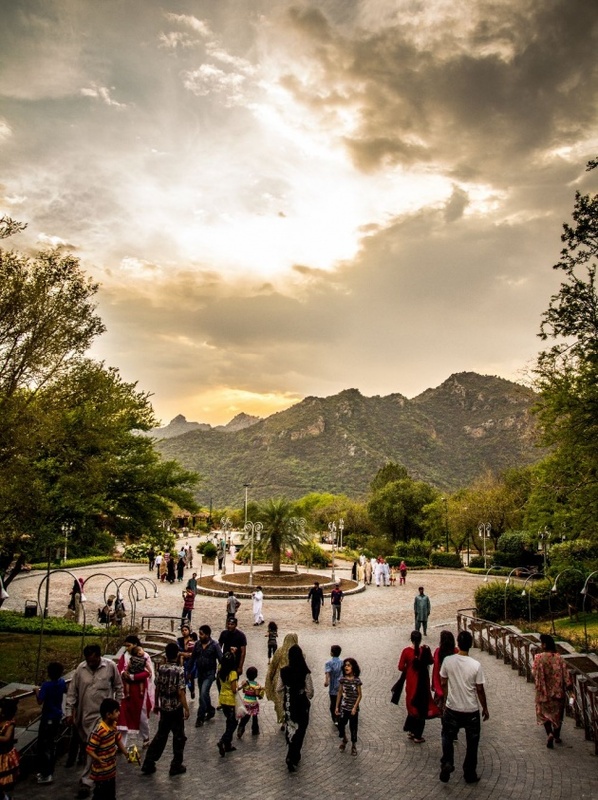 Islamabad is a very stunning place & people from all over the world are attracted towards it. Islamabad is clean, calm, peaceful, cool, beautiful, hygienic, fresh, dirt free, sparkling, stunning & of course up-to-dated. Islamabad is very well maintained and modern. 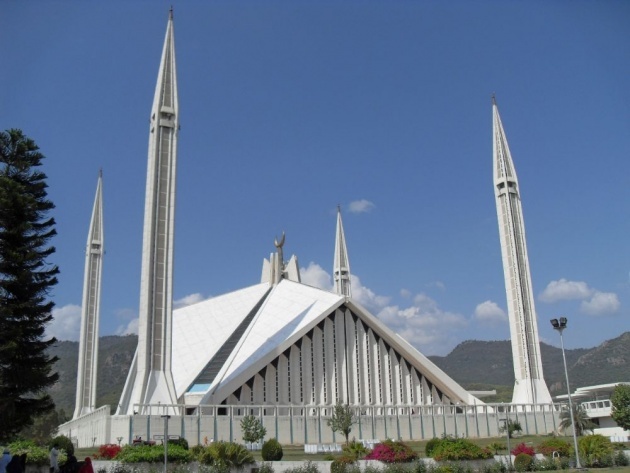 Faisal Mosque is the largest mosque in Pakistan. The construction of this beautiful mosque began in 1976 and finished in 1987. In 1969, an international competition took place in which architects from 17 countries submitted 43 proposals, from which Tuskish architect Vedat Dalokay won. Faisal Mosque is named after the late King Faisal bin Abdul-Aziz of Saudi Arabia, & he also provided financial support when the mosque was to be built. Faisal Mosque is very Iconic, Beautiful and clean. The mosque looks so stunning at night. 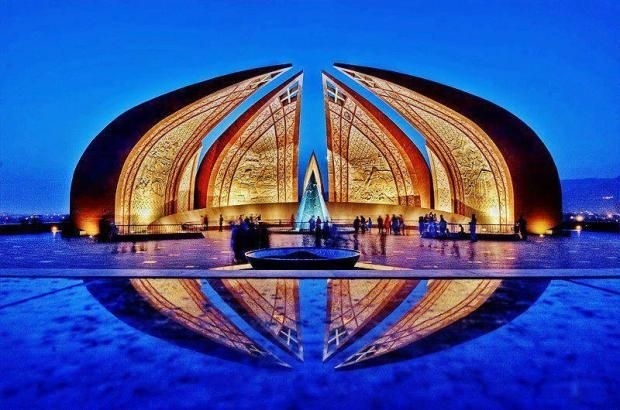 Pakistan Monument represents four provinces and three territories. The provinces and territories are represented by petals, where big petals are for provinces and small for territories. The Carvings on the petals are remarkable, carvings represent the culture & civilizations. The architect of this monument was Arif Masoud who won the competition among known architects with his beautiful design. The construction of this monument was started on 25 may, 2004 and finished on 23 march, 2007. 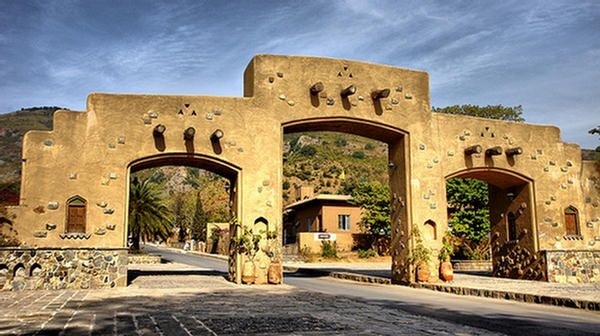 Daman-e-koh is a beautiful viewing point located in Margalla hills. It’s a very attractive point. Monkeys are common to see there during Winter season. Telescopes are especially installed there. It is also famous for its beautiful parks and hotels. This village is located to the east of Daman-e-koh. 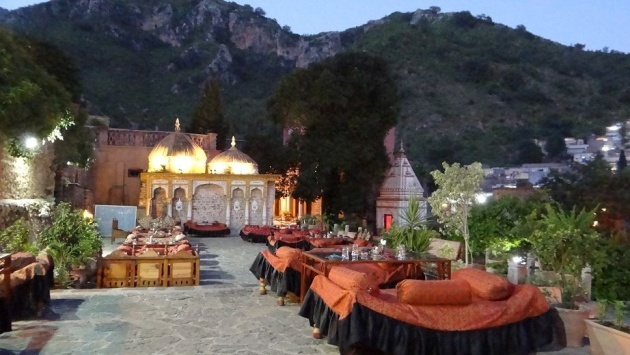 Saidpur village is so beautiful & it’s a stunning place that attracts both residents and foreign visitors. The food at saidpur village is so delicious & it’s a great place for those who like to dine in traditional environment. 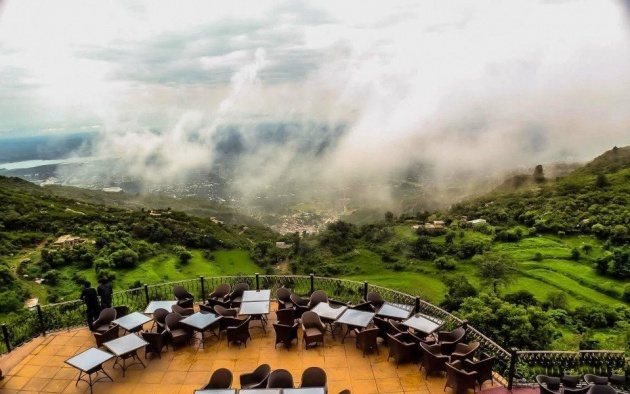 Monal restaurant is a great place to visit. This restaurant is one of the few restaurant located on such high altitude in world. It is famous for its delicious food and extraordinary view. 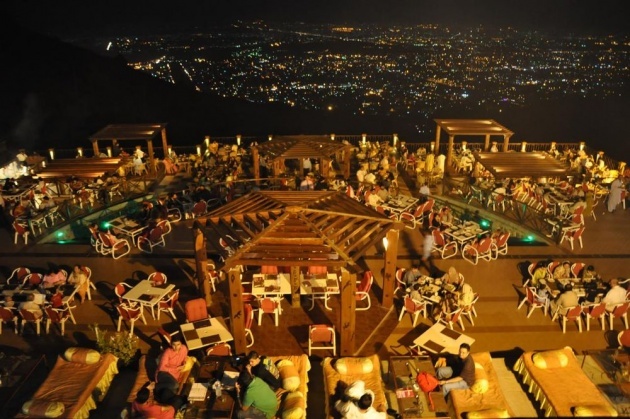 The view of Islamabad from this restaurant is beyond words especially at night. 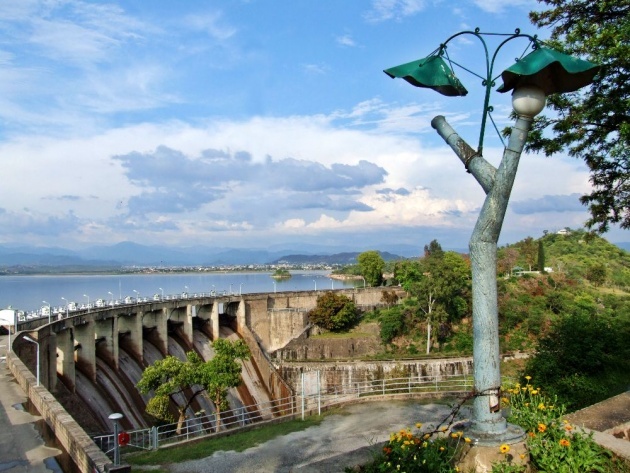 Rawal Lake is an artificial reservoir that provides water to Rawalpindi and Islamabad. Rawal Lake is famous for its beauty, Water skating, boating and sailing. It attracts tourist from all over the world. 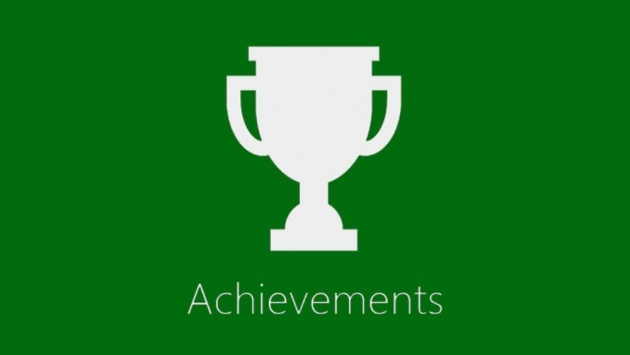 So there are some of the great achievements of Pakistan.